Crystal Palace star Wilfried Zaha has accused former club Manchester United of leaving him to fight his demons by himself. The Ivory Coast international expressed his anger that the Red Devils did not address rumours that he had slept with then manager David Moyes’ daughter. 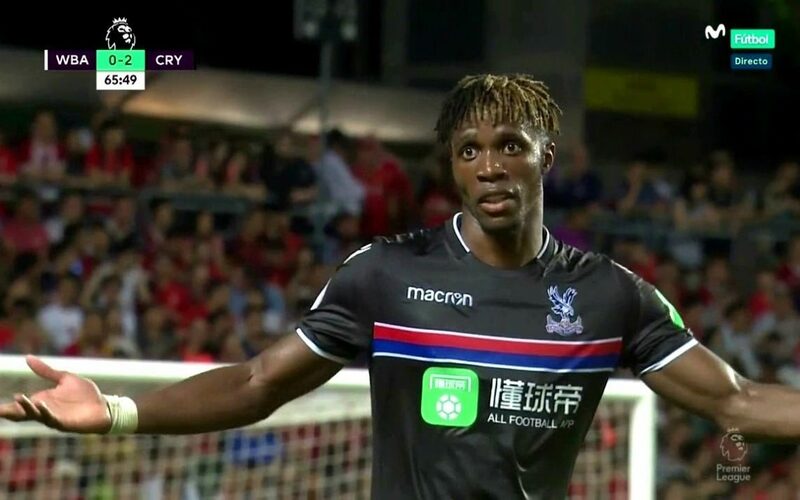 Reports at the time suggested Zaha was being frozen out at Old Trafford as a result of his apparent relationship with Lauren Moyes. The 25-year-old says the rumours were not true and United’s failure to quash them put him through a living hell. He claims being left to deal with the problems alone while living an isolated life left him feeling down and depressed. Zaha told ShortList: “Obviously, getting to United isn’t easy, so not being given a chance is hard to take. I don’t regret anything because it made me stronger. I feel as though I can deal with anything now. “I went through so much with United, with England. There were rumours that the reason I wasn’t playing [many games] for United was because I slept with [then manager] David Moyes’s daughter, and no one [at the club] attempted to clear that up. So I was fighting my demons by myself, these rumours that I knew weren’t true. Zaha joined United from Palace in a £10m deal in 2013. But he made only two Premier League appearances for the Red Devils, spending time on loan at Cardiff City before being sold back to the Eagles.